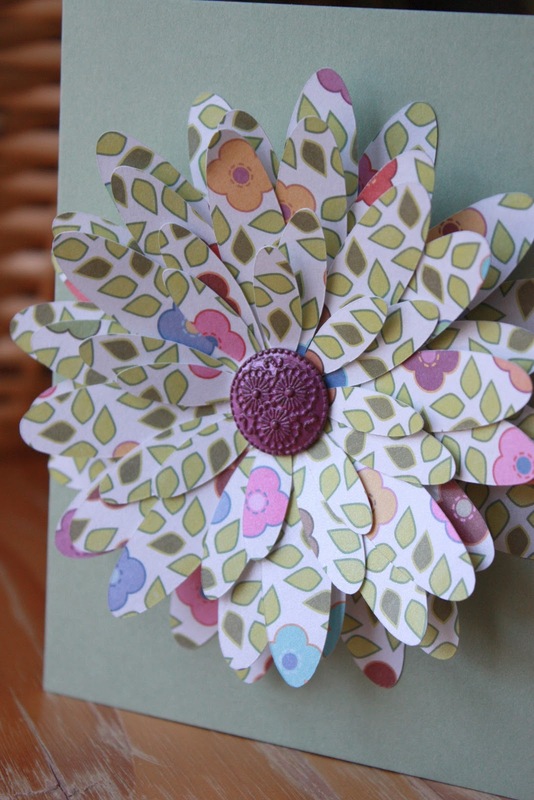 I'm on a paper blossom-making frenzy! I can't stop making them!!! There are so many variations I can make and I never have to repeat them...EVER!! I think that once the actual Spring flowers start blossoming I will need to be sedated. I started my frenzy and then I saw this on Anthropologie's site. I invite you to keep hitting "next" once the page loads. SOOOO pretty! Shredded Blue Petals - inspired by Peonies..one of my faves! 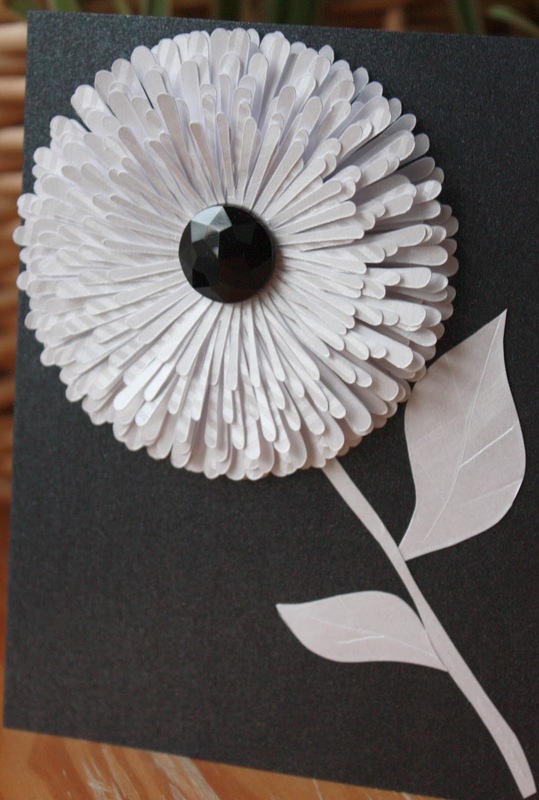 A little vintage with a daisy and a little classy with a chrysanthemum. I love them both!! Less than 2 weeks till the seasons change! WOOT WOOT!! great looking flowers, they look like fun to make! They are all so gorgeous! Great work. ALL so very pretty - I can't choose a favorite. Daylight Savings Time begins this weekend - whee!